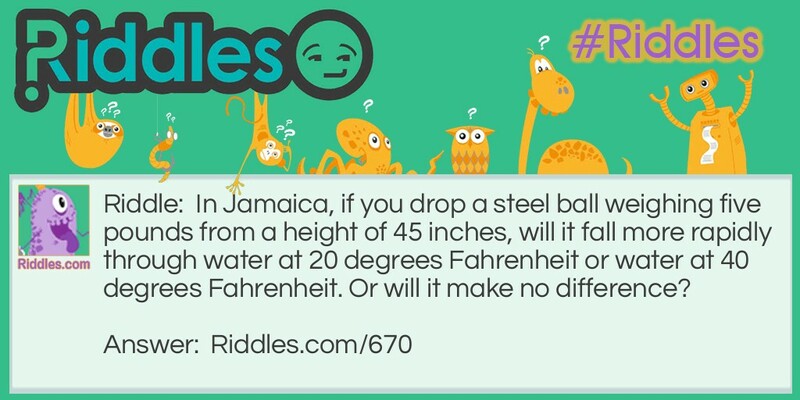 In Jamaica, if you drop a steel ball weighing five pounds from a height of 45 inches, will it fall more rapidly through water at 20 degrees Fahrenheit or water at 40 degrees Fahrenheit. Or will it make no difference? 20 degrees vs. 40 degrees Riddle Meme with riddle and answer page link.